With the arrival of Halloween, it’s official, the holiday season’s begun. Parties, costumes, candy, family fun, Jack-o-lanterns and … property crime! Hey, wait-up, what’s with the crime bit? Well, it’s probably no coincidence that October gives us Halloween right at the end of National Crime Prevention Month. Just think, hordes of trick-or-treaters out roaming the streets, and most of them are carrying bags and wearing disguises … er … costumes. How do you know if that tall, skinny ghost is little Suzi’s older brother or an anonymous stranger? All the elements a bold burglar needs are laid on for free on Halloween. Lots of diversions, lots of disguises, plenty of foot traffic make the perfect opportunity for a break-in behind a screen of Halloween celebrations. And not just burglars, don’t forget that Halloween also brings out the pranksters, aka vandals. For most of us, it’s a busy month already, stocking up on candy, getting the kids costumes, keeping up with work and school and all the extra chores that come with the start of winter. 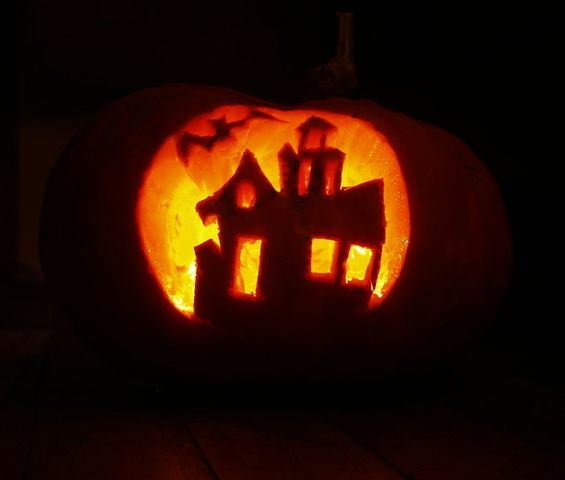 You may not have given much thought to home security so here are some tips you can action now for Halloween safety. Keep your home and yard well lit. Even if you’re going to a party or don’t want to hand out candy, it’s a mistake to leave the outside lights switched off. Leave them on and be sure to check for burned-out bulbs. Burglars can case your home and vandals like to dish out trouble under the cover of darkness. One solution is to have motion sensor floodlights installed around your house. They’ll turn on automatically when someone tries to creep around in the dark. Are you really diligent about locking up. Be extra sure while you’re handing out candy in the front, all other doors and windows are locked up tight all through the night. And after opening and closing your front door thirty or forty times you may get tired of locking and unlocking. Don’t run the risk of criminals walking into your home; much safer to just keep locking it. And check all your locks and windows before closing up for the night. Pranksters and vandals have some “tricks” they repeat each year. The innocent mailbox often comes in for a lot of punishment. Shaving-foam filled boxes are common but the nasty treatment is dished out by mailbox bashers who use baseball bats to do the damage. TP’d (toilet papered) trees and houses and car egging’s are other costly “tricks” you won’t expect. Consider giving candy out from the driveway where you can keep an eye on the action and your kids at the same time. Set up a couple of tables to work from; you’ll meet the children’s parents and get to know your neighbours. All the outdoor activity will also discourage drive-by vandals aiming to knock over your mailbox and save your lawn and protect your flowerbeds. If you’re expecting trick-or-treaters, turn on your outdoor lights so everyone can easily see where they’re walking. Decorating your porch shows people they’re welcome to knock on your door and be sure to sweep the path and sidewalk clean of wet leaves and twigs. Shut your pets up in a safe place where they can’t jump up on people or disappear into the night. Stay alert, use common sense and when the fun is over and it’s time to lock up, be sure to set your alarm system. No alarm system? Then the best Halloween advice we can give you is install a home security system and send the bad guys packing. GPS Burglary: Just a New Trend or Here to Stay?